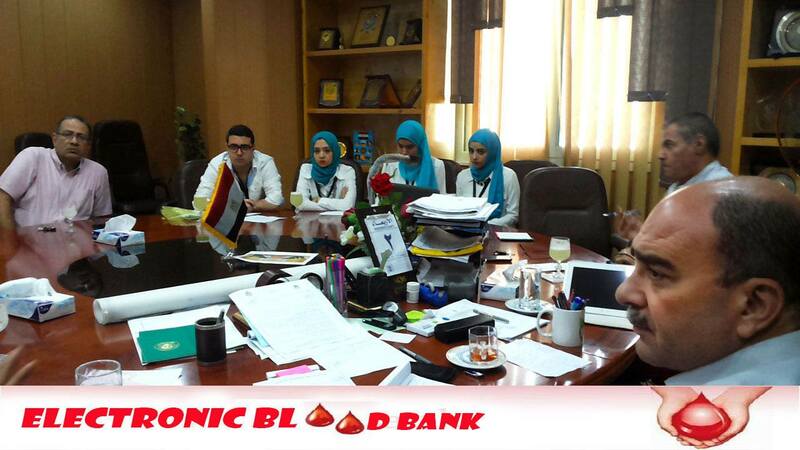 employees including information on the blood group of each individual to facilitate obtaining blood in cases of accidents. This will also help in cases of blood donation when blood is urgently needed. Professor El-Melegi, the Vice- president for Community Service and Environment Development held a meeting with the Dean and Vice-Dean of the Faculty of Medicine, the Director of Communications and Information Technology Center (CITC), and the members of the MUSS student team supervised by the Community Service Sector in the Faculty of Medicine to discuss their suggestion concerning the launch of an electronic blood bank. This project will be initiated by the Community Service Sector, the Faculty of Medicine, and CITC through different stages: the first stage being targeted to freshmen. During the meeting, mechanisms of implementation have been discussed. This project, it is hoped, would contribute to save the lives of many patients and causalities because it will transform all the procedures followed in traditional blood banks into electronic ones. In this way, a lot of time and effort will be saved. 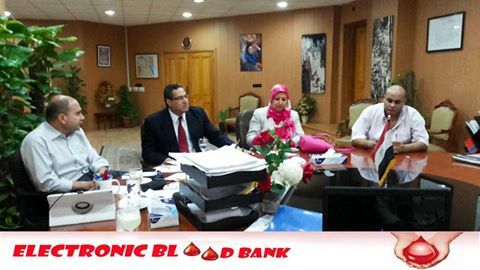 The project will also help facilitate the process of blood donation and develop the manner in which blood is dispensed. It will also provide for the future medical needs by applying the best internationally followed criteria in this field. The second stage of this project will include students in the different academic years, while the third stage will cover university employees, and the fourth, the staff members. The fifth stage will expand to cover citizens of Dakahlia who are willing to participate in the project. It is expected that the first stage of this medical, environmental project will come to an end during the academic year 2015-2016.